If you seek a place of quiet solitude, meaningful activities and a warm, caring team for your loved one, look no further than The Pavilion at Canterbury. Our Medicare- and Medicaid-certified community offers personalized, skilled nursing and hospice services, plus a whole lot more. Residents live in private or semi-private rooms, and take comfort in a friendly atmosphere with picturesque views of the surrounding gardens and lake. Our comfortable, homelike environment is enhanced by a robust Life Enrichment Program that uses the Eight Dimensions of Wellness (physical, emotional, social, intellectual, spiritual, vocational, health and environmental) to engage, stimulate and create personal connectedness. 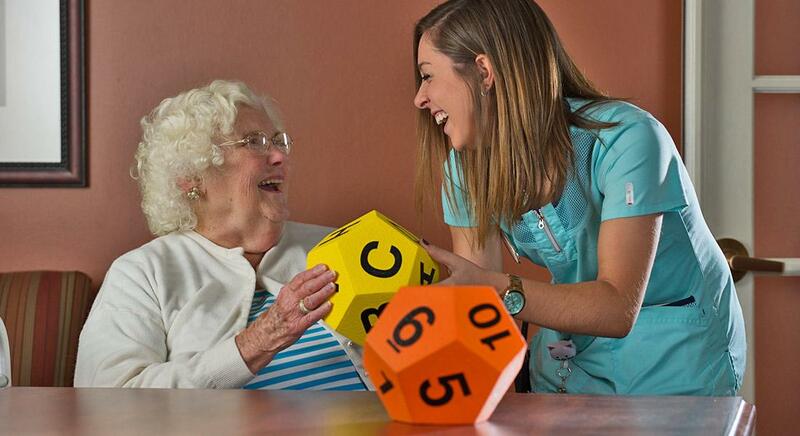 We are passionate about helping all of our residents achieve their optimal level of living. 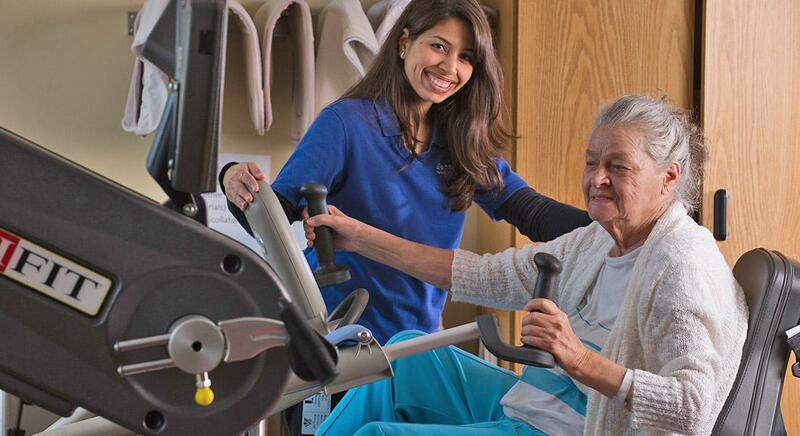 Our team includes physicians, nurses, certified nursing assistants, social workers, activities staff, registered dietitians, and on-site physical, speech and occupational therapists. The Canterbury environment inspires peace of mind because it combines a built-in emergency call system with our responsive nursing team, available around the clock. Pavilion residents also enjoy a wide variety of meals and daily snacks, with a focus on locally sourced, fresh ingredients, scratch cooking and service excellence. If a resident should need food pureed or has trouble using utensils, our award-winning PUREE WITH A PURPOSE and FRESH BITES finger food programs are the perfect answer. Upon admission, our nursing, therapy, social services, and activities team work with patients and their families to create a highly individualized care plan. 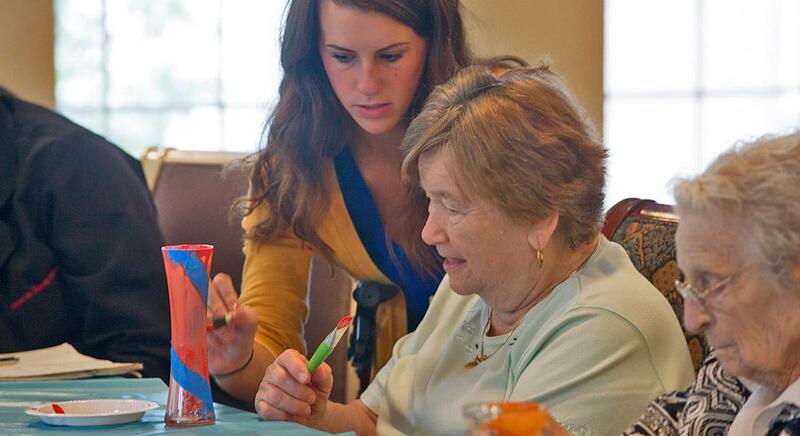 It’s designed to maximize each resident’s physical, social and emotional independence. And we regularly review it to ensure that we continue to meet the changing needs of our residents. Here, residents have everything they need to live a richer, more meaningful life. Just around the corner, there is access to the Lochshire Beauty Salon, our gift shop and the Wellness Center, all along Canterbury’s Main Street. It’s easy to see why life is good here!